ALHAMBRA (CBSLA.com) - "How Do You Spell Relief?" 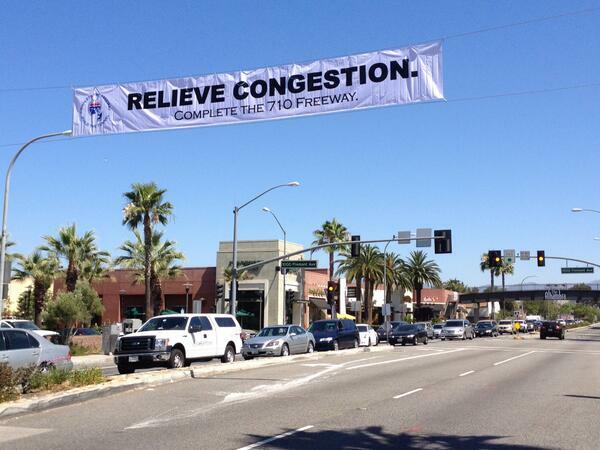 That's just one of the slogans featured on several newly-installed banners in the city of Alhambra to support a 55-year effort to complete a proposed tunnel that will connect the 710 Freeway at Valley Boulevard to the 134 and 210 Freeways in Pasadena. Several newly-installed banners in the city of Alhambra are going up to support a 55-year effort to complete a proposed tunnel that will connect the 710 Freeway to the 134 and 210 Freeways. NO710 Protests Alhambra event. (Joe Cano video). Pasadena City Council is considering setting up a special task force for the State Route 710 North Study. PASADENA>> The City Council Monday agreed to discuss at a future meeting strategies to ensure that the 710 freeway north extension project does not negatively impact the city. Councilman Terry Tornek asked Mayor Bill Bogaard to put the item on a future agenda, suggesting that the city create a special task force to look into the various suggested alternatives for the project. Lately, many letters have appeared in the Pasadena Star News from neighbors voicing their perspective on the the pros and cons of the Tunnel Alternative. Responding to Victor Lucchesi's statements in a recent letter about Measure R voters in favor of the proposed 710 tunnel: I must correct the misimpression that such voters knew what they were voting for. In talking to people about this issue, most have no information about the effects of such a tunnel on the whole northeast area of the L.A.
And you might recall early last month, Zocalo Public Square tackled the issue from a regional perspective. Above is both video and a podcast from Zocalo Public Square's forum at MOCA on Wednesday evening that was titled "What does Southern California need from the 710 freeway?" The forum - which was sponsored by Metro - focused on the 4.5-mile gap in the 710 freeway between Alhambra and Pasadena and the ongoing study by Caltrans and Metro that seeks to improve traffic congestion in the area. Zocalo Public Square connects people to ideas and to each other in an open, accessible, non-partisan and broad-minded spirit. Through our web magazine, lectures, panels, screenings, and conferences, Zocalo takes on ideas that enhance our understanding of community-the forces that strengthen or undermine human connectedness and social cohesion. Zócalo: What Does Southern California Need From the 710 Freeway? There's much dialogue but there is one thing missing...the data, more of which will be available when the Draft Environmental Impact Report/Study is released in February 2015. Through that analysis we will know more about the benefits, the impacts & how key issues will be addressed. 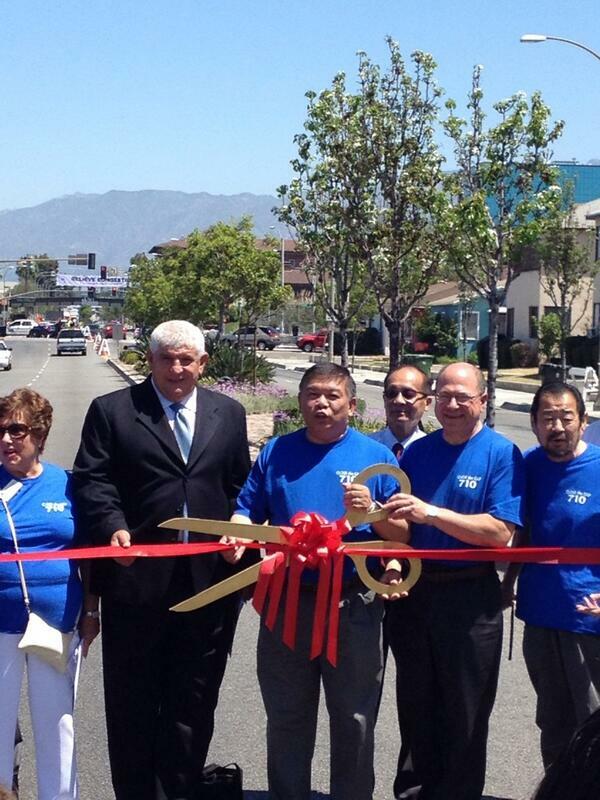 Learn more: metro.net/sr710study or on Facebook!